Imagine you are living in the year 2150. Write a “history report” about the early twenty-first century. What aspects of twenty-first century life will be most interesting to people in 2150? What will be hardest for people in 2150 to understand about the twenty-first century? What will they think is funny, or look on with prejudice about the twenty-first century? —Explain how various artists have used birds to represent freedom, and the symbolism of a rising sun in artwork. —Discuss the classical imagery of Hermes, the messenger god of Ancient Greece who wore a winged helmet. Besides being the messenger of the gods, he was also the god of athletes. How has the artist used the pigeons in this image to evoke classical images of Hermes? 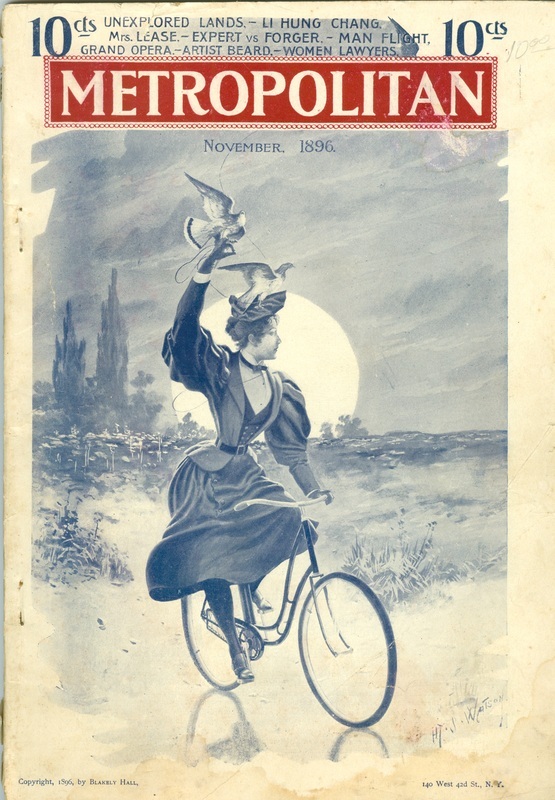 —Explain the historic use of carrier pigeons to send messages speedily from place to place, and the history of racing pigeons. 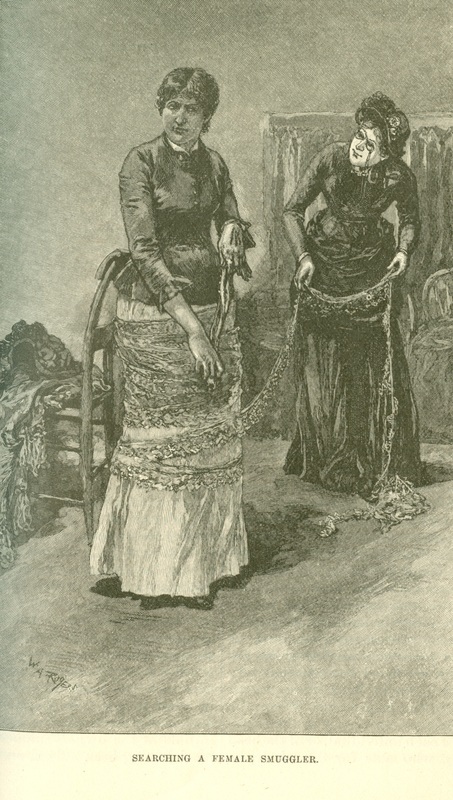 —Discuss the Victorian fashion of birds on women's hats, and how seeing a tableau like this might have inspired the artist. —What do the woman's posture and body language tell you? Does she seem slow or fast? Weak or strong? --The Statue of Liberty was a gift from France to America in 1886, just a few years before this picture appeared on the cover of a magazine. Look at the way the woman's right arm is outstretched in this picture. Does it remind you of the way the Statue of Liberty holds her torch? Why might the artist have chosen to show her this way? —What was the artist trying to show that the bicycle represented? 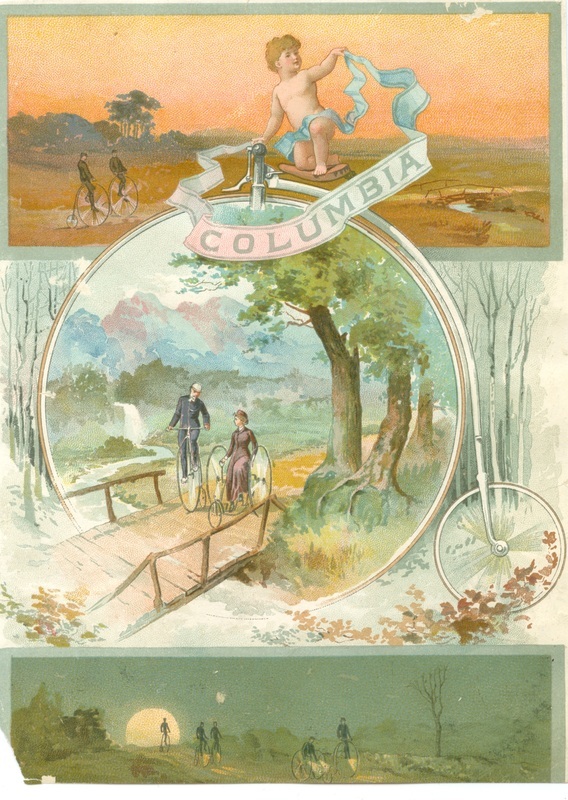 This is an advertisement from the 1880s for a high wheel bicycle. 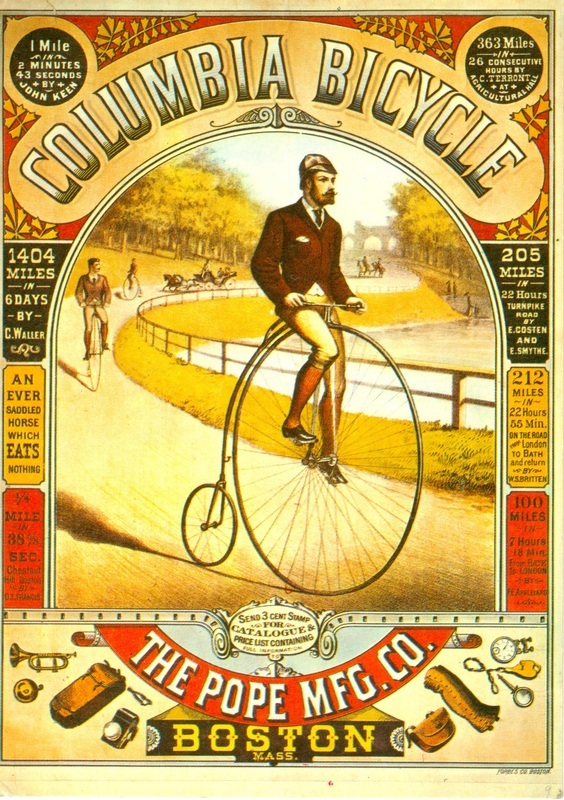 This was the most common bicycle of the time: it was so common, when people said "bicycle" everyone understood they meant this kind of bicycle! It was also called the ordinary bicycle. How is it different from a modern bicycle? How is it the same? 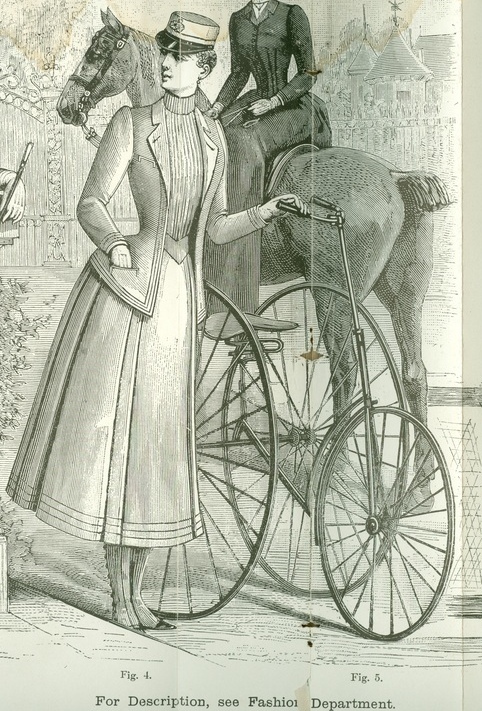 In the 1880s when men rode high wheel bicycles, women rode high wheel tricycles. 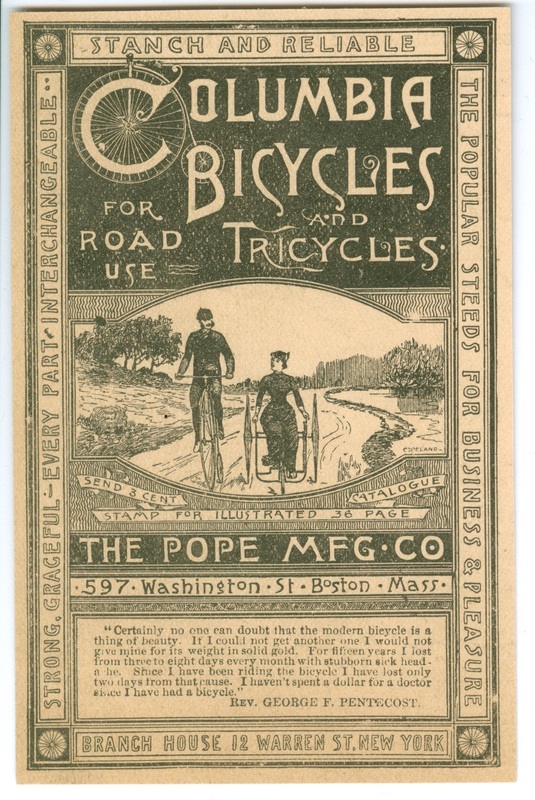 ​How is the high wheel tricycle of the adult woman in this advertisement different from a modern child's tricycle? 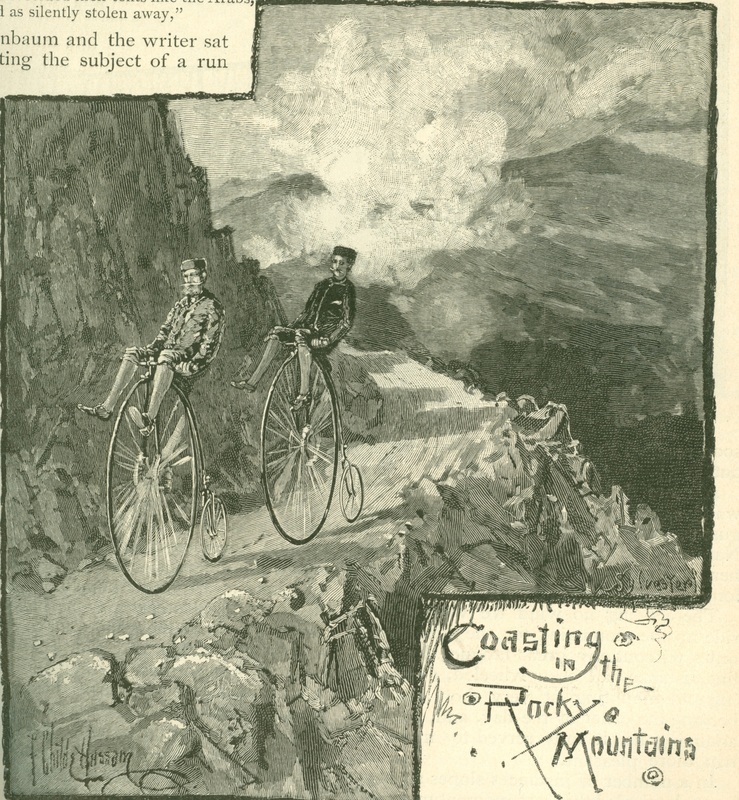 This 1883 picture shows two men coasting on their high wheel bicycles. High wheel bicycles are a type of bicycle called a fixed gear. This means that whenever the wheel is moving, the pedals are spinning. Question: Why do you think they put their legs over their handlebars? 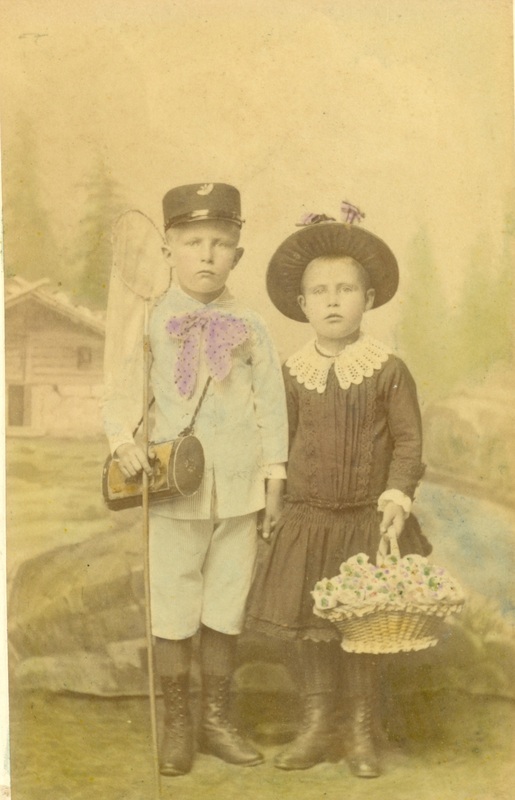 What kinds of foods do you think people ate back in the 1880s and 1890s? Now look at the pictures and advertisements here: Victorian Foods. Talk to your friends or parents about them: did any of them surprise you? ​Does this search scene remind you of searches at modern airports? Why or why not? 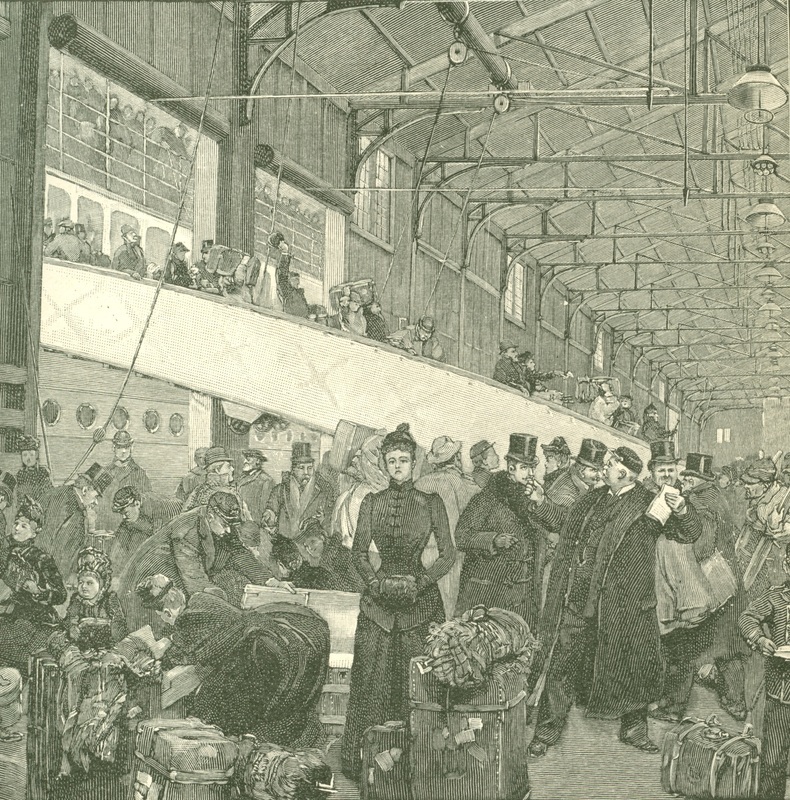 This picture shows the arrivals dock in New York.